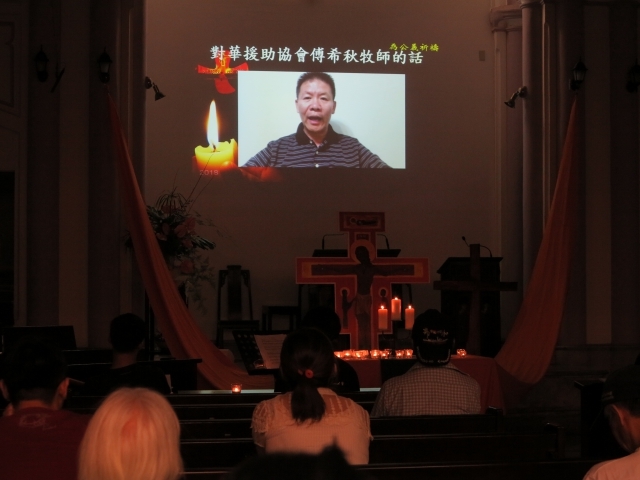 In a Taizé prayer meeting, held at Chi-Nan Presbyterian Church in the evening on September 12, the persecuted Chinese churches, underground Christians, Tibetans and Uyghurs in Xinjiang are especially named in prayer led by Rev Huang Tsun-seng of Chi-Nan Presbyterian Church. Through a slides briefing, Rev Ng Tiat-gan of Hsi-Chi Presbyterian Church reports in details of current Chinese churches’ persecution status by the Chinese Communist Party. Also, a pre-recorded video of Mr Fu Xiqiu, chairman of China Aid, shown up in the assembly to express his thanksgiving to the brotherly love and support from Taiwan Church to the persecuted churches in China. 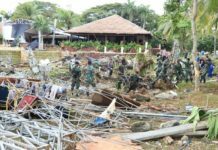 In recent two years, the crosses on church roof of about 2,000 churches in Zhejiang Province and 4,000 churches in Henan Province were forcibly removed. Chinese Communist Party even orders young men under 18 years old forbidden to enter churches, requests Christians to sign statement to relinquish Christian belief and hangs the picture of the China’s President Xi Jing-ping , national flag and communist political slogans inside the church and etc., according to Rev Ng’s report. 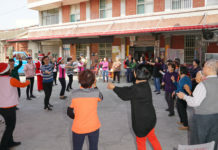 Against these communist persecutions, not only the Catholic Fathers in the Cangzhou Diocese of Hebei province delivered a protesting letter in mid-August, but also 29 Christian pastors had delivered a stalwart apologetic statement, “ A Statement for Christian Faith”, expressing that recent persecutions are not only splitting the Chinese society, more abhorrently these breaching actions seriously against the principle of “rule of law “. Finally, this signed up statement, including 116 preachers up to date, insists “Christ is the only head of Chinese church”, meaning the communist party should step aside and let the church to have her self-autonomy, self-government and ecclesiastical sovereignty. 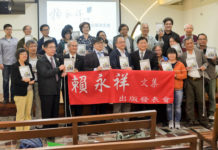 In this prayer meeting, many famous guests also come to the site, including Mrs Huang Yen, the Chinese human rights activist; Prof Fujino Yohei of Hokkaido University in Japan; Chairman Chhòa Teng-Kùi of Free Taiwan Party and Rev Lin Wei-lien, secretary of Church and Society Committee of PCT.